Pictionary, the game of quick sketches and crazy guesses, has innovative new functionality and game modes for the whole family! 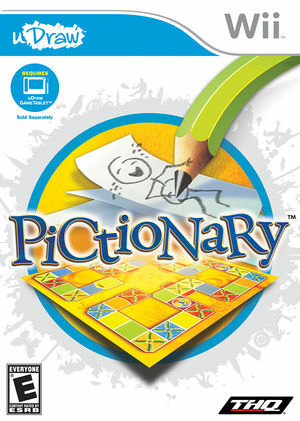 In addition to great classic Pictionary play, new features include rotating canvases, one-line challenges and other fun gameplay modes in a lively game show setting. The uDraw GameTablet required by Pictionary is not currently emulated by Dolphin. A real uDraw GameTablet and Wii Remote are required to play. The graph below charts the compatibility with Pictionary since Dolphin's 2.0 release, listing revisions only where a compatibility change occurred. This page was last edited on 13 January 2018, at 08:13.